Product prices and availability are accurate as of 2019-04-17 15:33:42 UTC and are subject to change. Any price and availability information displayed on http://www.amazon.com/ at the time of purchase will apply to the purchase of this product. 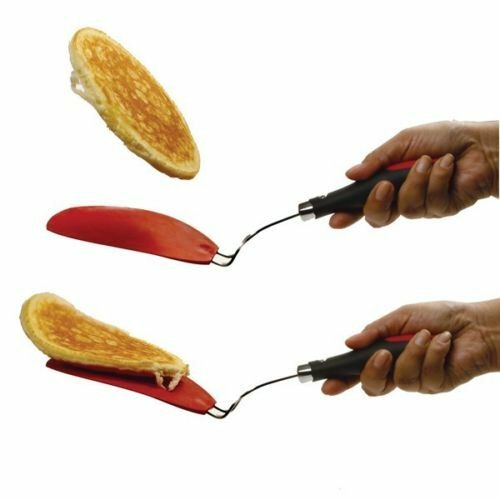 Product Features You get 2 flexible spatulas *GRIP-EZ FLEXIBLE MEGA PANCAKE SPATULA, Red .13"/33cm Long (Head is 6-1/4" x 5-1/4") The perfect size for flipping pancakes! .Handle made of 18/0 Stainless steel, PP/TPE , Head made of High heat Nylon. BPA FREE .Non-slip ergonomic handle .High heat resistant to 410°F/210°C. 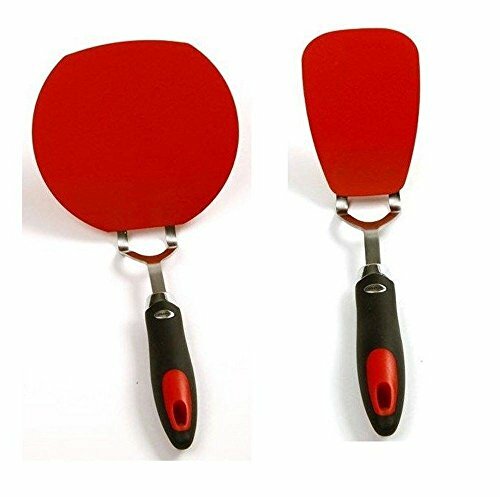 *GRIP-EZ FLEXIBLE SPATULA, Red .12"/30.5cm Long (Head is 3-1/4" x 4-5/8") .Handle made of 18/0 Stainless steel, PP/TPE , Head made of High heat Nylon. BPA FREE .Non-slip ergonomic handle .High heat resistant to 410°F/210°C Lift, turn, flip, cut! you get a jumbo and regular size spatula for all your cooking needs. 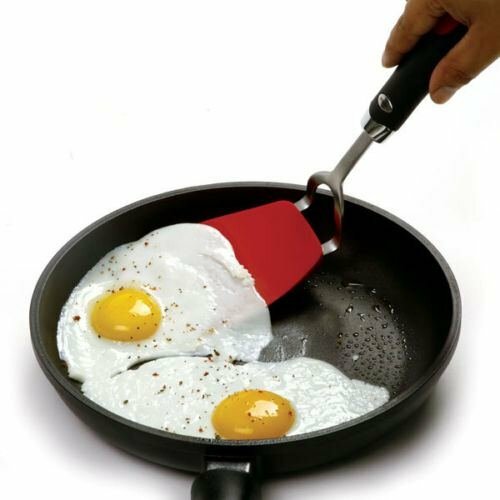 Great for pancakes, burgers, eggs, omelets. 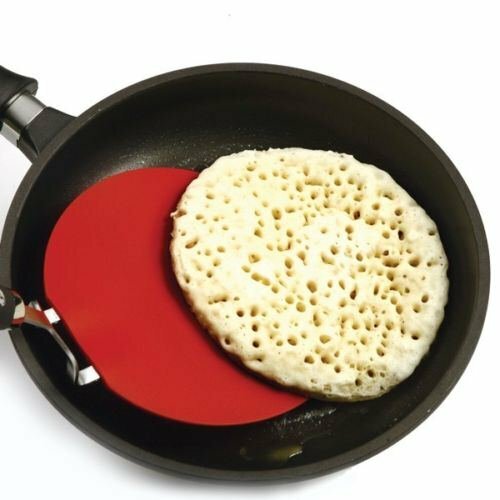 Smooth flexible edge easily gets spatula under foods. Perfect for breaking up ground beef and sausage. High heat resistant to 410℉ /210℃. Safe for nonstick cookware. NON-SLIP ERGONOMIC HANDLE.